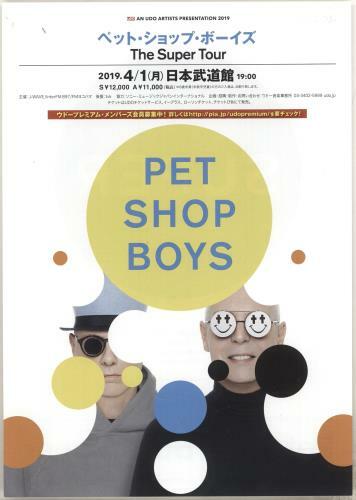 PET SHOP BOYS The Super Tour (A fantastic pair of identical Japanese 7" x 10" promotional double-sided handbill flyers issued to promote their concert at the Budoken in Tokyo on Monday 1st April 2019 [this isn't an April Fools Joke!] as part of the Asian leg of their Super Tour. 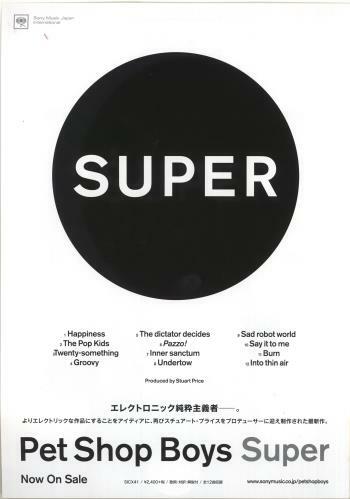 The reverse displays a black & white advertisment for the Super album with tracklisting details. Perfect for framing! ).